Click to view full sized version. The Sertoma Winter Wonderland at the Northland Arboretum has delighted more than 15,000 visitors in the last two years. This holiday light display tour drive through the Arboretum is supported by many business sponsors from the community. 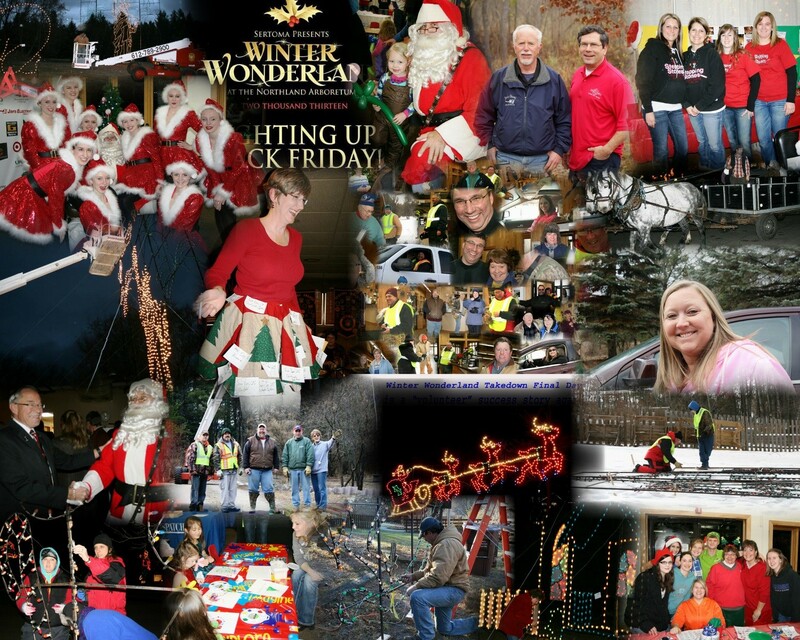 Each year hundreds of volunteers from Sertoma and the community help to make the event a memorable holiday experience.In 2009 we were able to touch 38 organizations in the community through grant requests from proceeds of the event. As the popularity of the event grows our plan is to contribute more back to the community each year.The Sertoma Winter Wonderland at the Northland Arboretum is the largest fund raising event of the club. Many volunteers and volunteer hours go into the planning and execution of the project. For information on Winter Wonderland email info@sertomawinterwonderland.com.For more information visit http://sertomawinterwonderland.com.